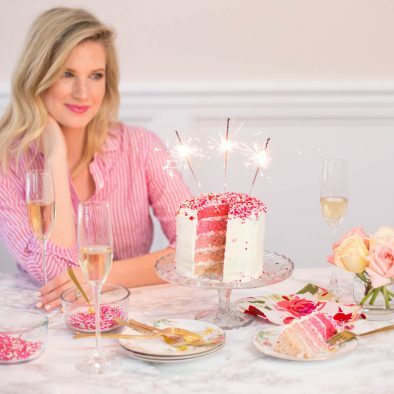 I’ve made Valentine ombre cakes, gender reveal ombre cakes, and more… there is nothing quite like cutting into a pretty, colorful cake. 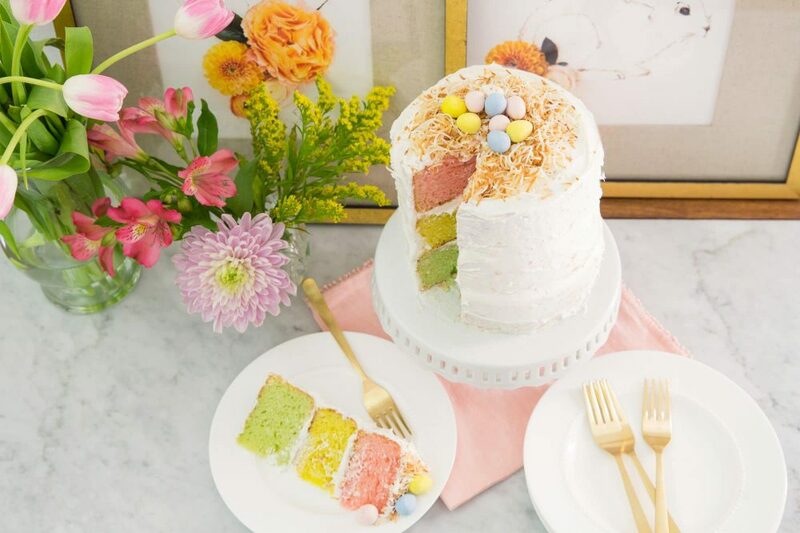 With Easter around the corner it’s the perfect exuse for an pastel ombre cake! 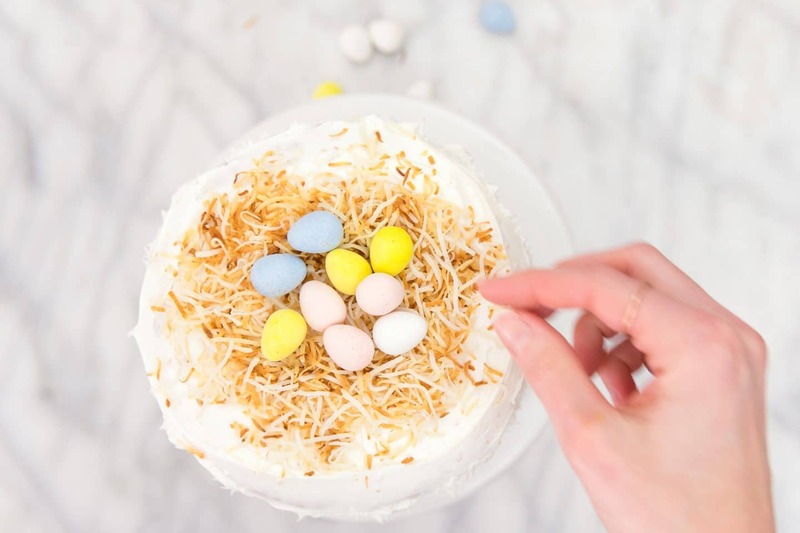 While scrolling on Pinterest a few days ago I spotted this ombre Easter cake from I Love Naptime and I thought I’d try my hand at “recreating” it! 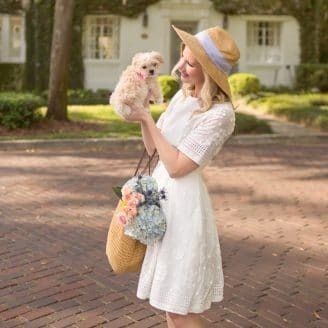 I absolutely love the way it came together and am already thinking of one I can put together for the next event… maybe Mother’s Day? We’ll see. 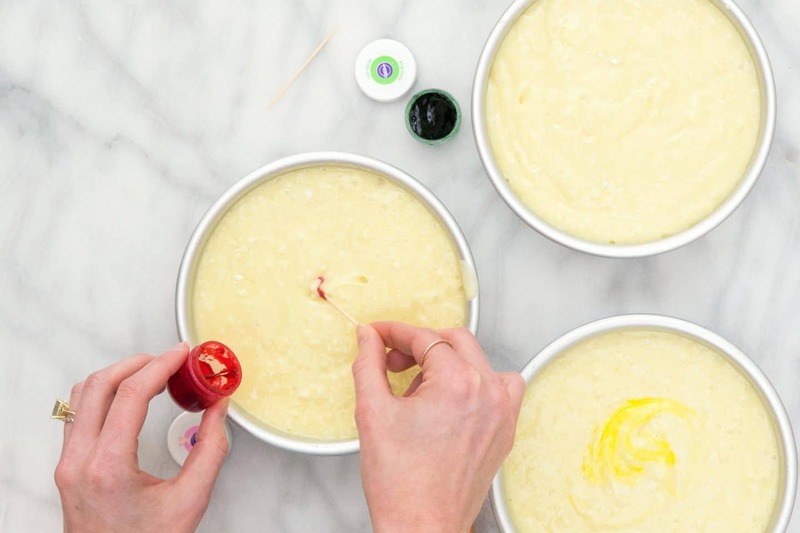 Either way, making colorful cakes is addicting and I promise you’ll be hooked! 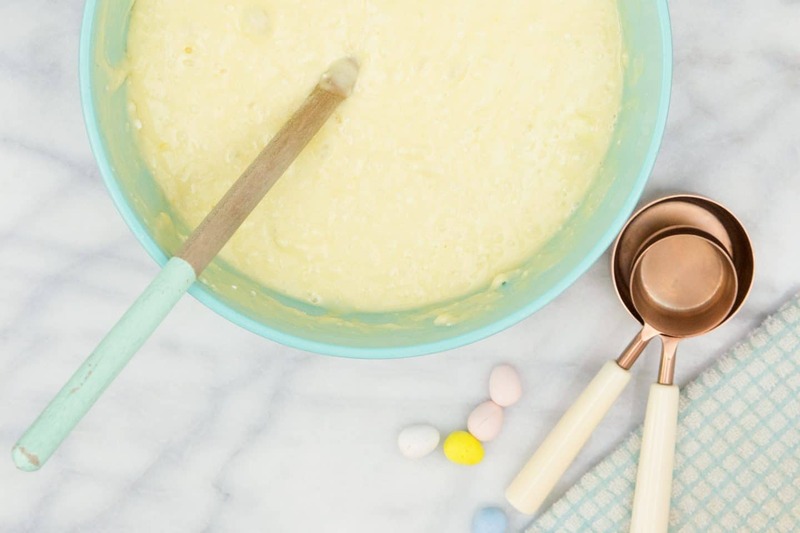 Mix up white cake batter. I typically just use two boxes of organic white cake (like this one) instead of making the batter from scratch. I’d always rather spend my time decorating! But either way, make sure you are doubling the recipe. You can really use any size tins you want, but I really love the look of these six inch rounds! 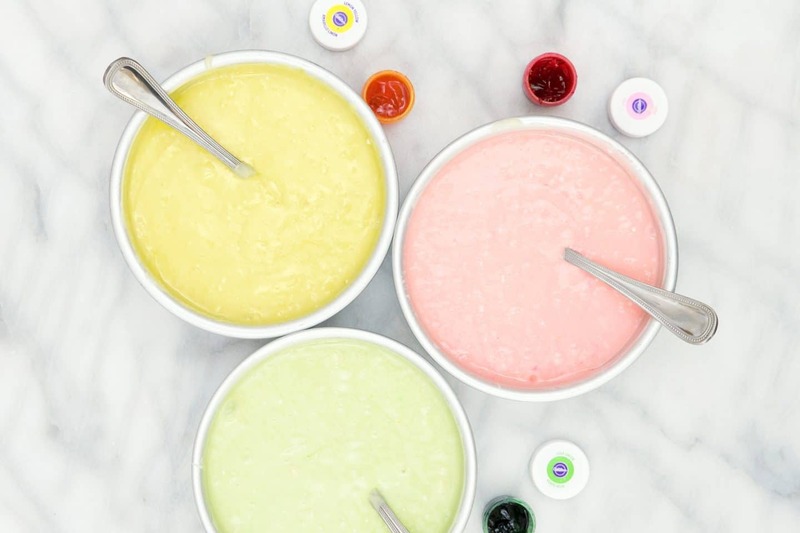 Pick your colors and dye the batter. I picked yellow, green, and pink which match the Cadbury Eggs, but the sky’s the limit! When it comes to food coloring there is really only one option in my opinion and it’s gel. 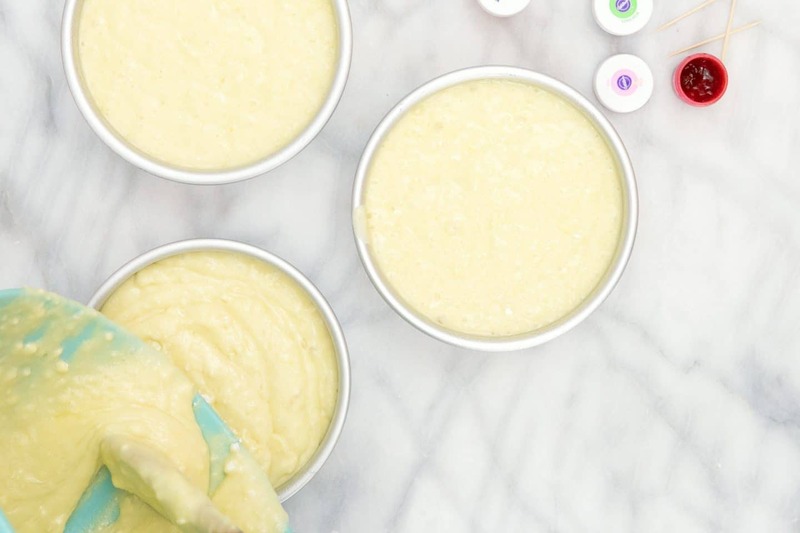 Take a tooth pick and dip it into the gel and then swirl it around in the batter. Be carful and start slow, you’d be surprised at how a little goes a long way! Stir stir stir!! Make sure you get all the food coloring mixed in and to the color shade of your liking. Then pop all three in the oven until a toothpick comes out clean. 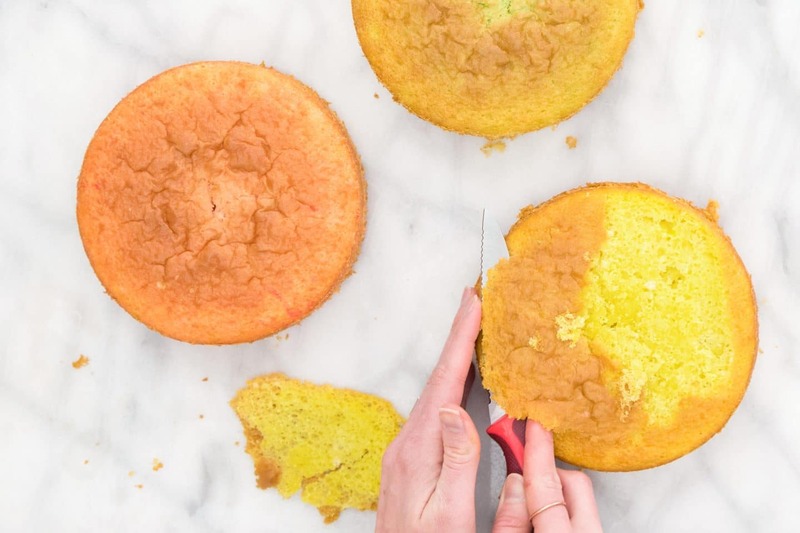 Once the cakes are cooled, remove them from their tins and level off the tops. This is my least favorite part, but just commit. You can do it I promise, plus icing fixes a multitude of mistakes! It’s time to stack! 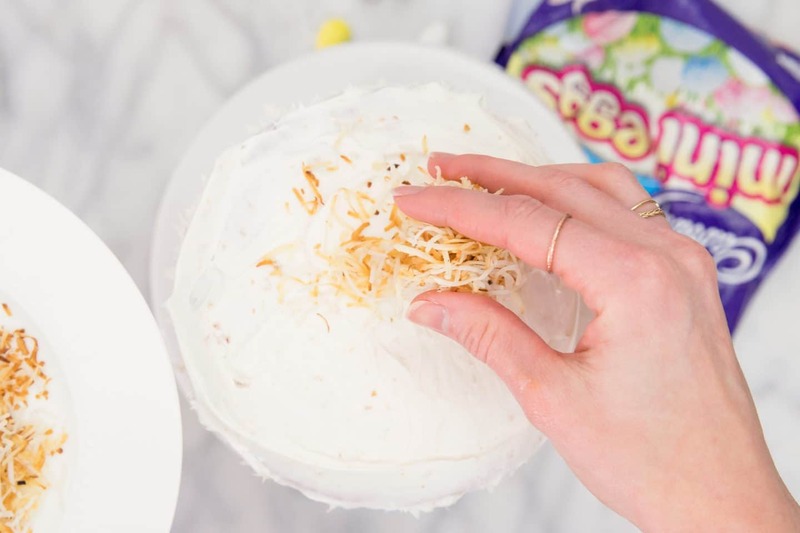 Add icing to the cake plate and start layering on the cakes one by one. 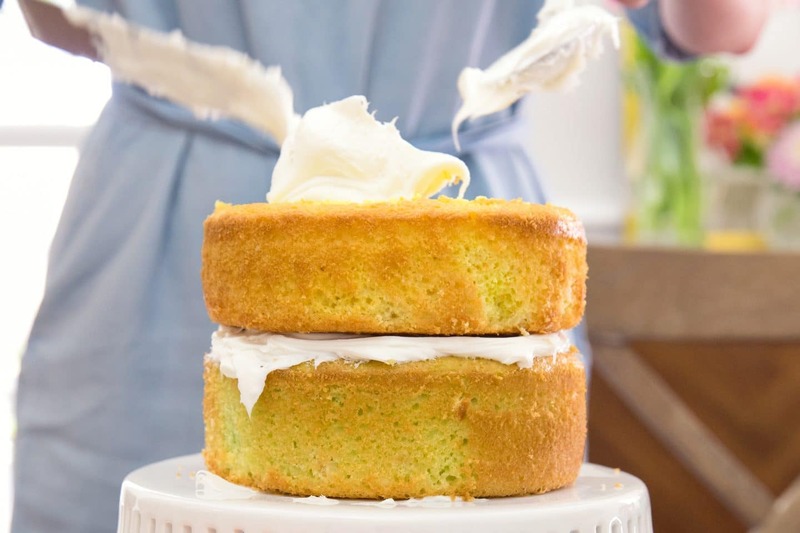 Make sure your icing between the layers is level or your cake will lean. 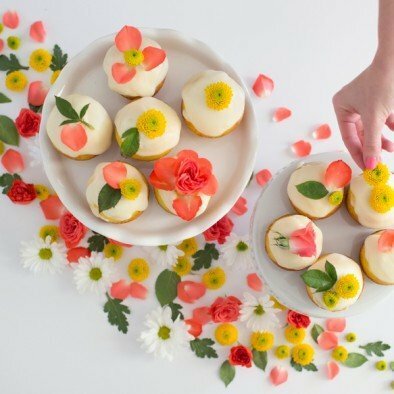 Make sure you wait until the cakes are fully cooled before icing… trust me on this one. The lean is real! 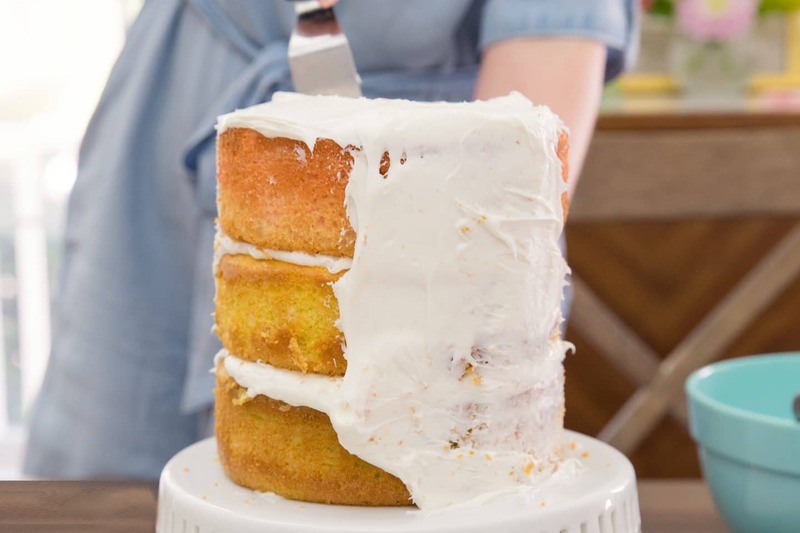 Now that the layers are stacked, use the rest of the icing to cover the cake. Or if you like the naked cake look.. let it be! It’s time to decorate. Feel free to add whatever you’d like. 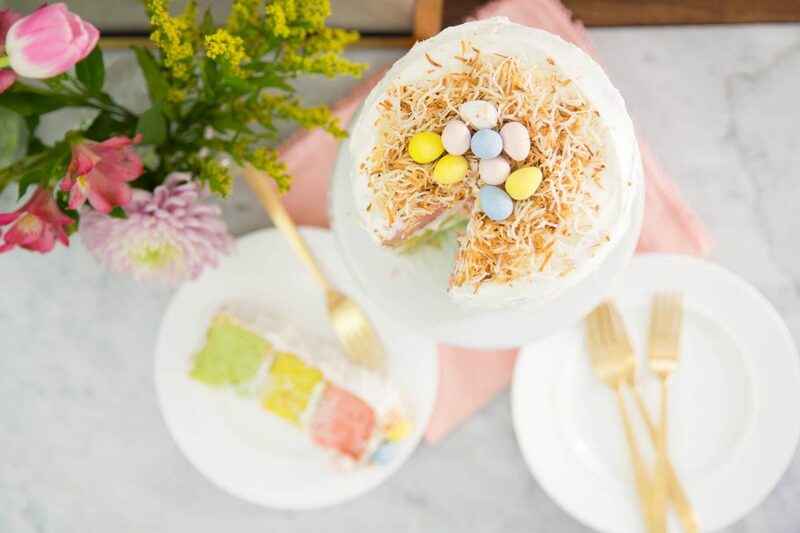 The Easter candy isle has what feels like hundreds of options, but for this look I’m starting with toasted shredded coconut! Next I’m adding the Cadbury Eggs! 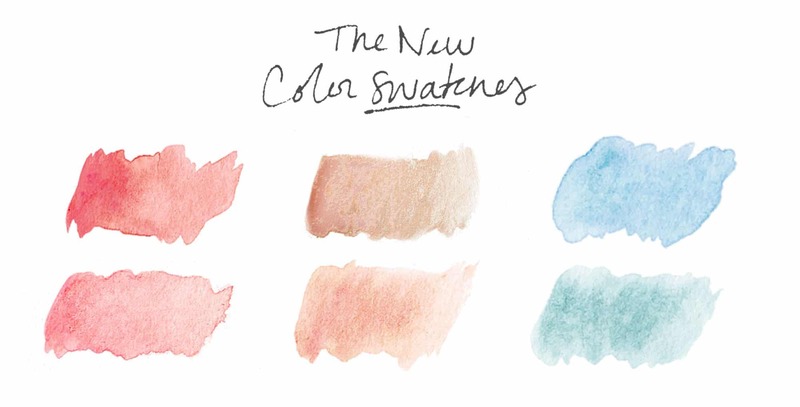 I love the way the pastel colors look together. It’s really shaping up to be the perfect Easter treat! Slice, serve, and enjoy! 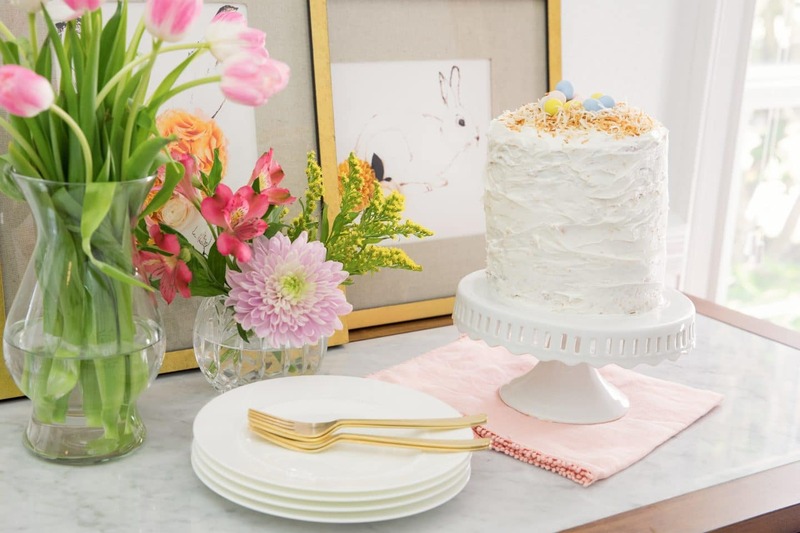 There is nothing more delightful than cutting into a pretty ombre cake! You’ll have to let me know if you plan on making this cake, I’d love to see the finished look!! Thanks, Allie, and YES leveling off makes a huge difference!